We at midbrak properties is well known for our great service of holiday rentals. We offer owners and clients the best holiday rental experience. We have over a 150 unique properties available for holiday rentals with cleaning services available. We are able do assist property owners with experience in holiday rentals. Most of our holiday clients are returning customers due to the good experience with our holiday system rental. Hein heads up the satellite office of Stonehouse properties at the farm stall. Maxine manages the head office in Mossel Bay. They have lived in the Garden Route for more than 15 years and their children is in one of the local schools. 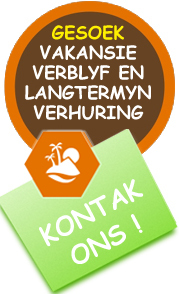 Hein specialises in the area of Hartenbos, Hartenbos Heuwels, Monte Christo, Kleinbrakrivier, Fraaiuitsig, Reebok and Tergniet. Maxine and her team heads up the Mossel Bay area. They do a variety of sales from property, smallholdings, farms, commercial to long term rentals.